Neuroscience Physiology Research Equipment Psychological Assessment Stoelting Co. The Ugo Basile Startle/PPI system is used to detect startle response in mice. Each system includes one touch screen and mouse cage. Software activation key sold separately. The Ugo Basile STARTLE/PPI System allows for automated detection of startle reflex in Mice. 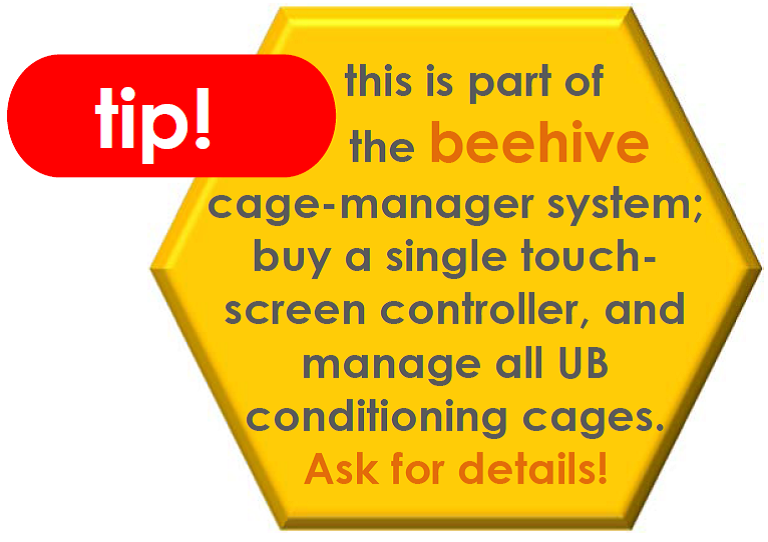 The Startle/PPI set-up is part of UB conditioning-cage; a single touch-screen controller manags all UB cages.Contact Stoelting for full details! Touch Screen Controller - controls up to 4 cages! A Startle-Link Box collects the signals from up to 4 Stimulating/Recording Platforms and sends them to the Controller. You currently have items from another division in your cart. To add this product to your cart your cart you first need to either purchase the items in your cart or clear your cart.